Happy Wednesday y'all! This week seems to be flying by as we are in the final days of packing up the cabin for the winter and spring and things are busy with last minute items to do. 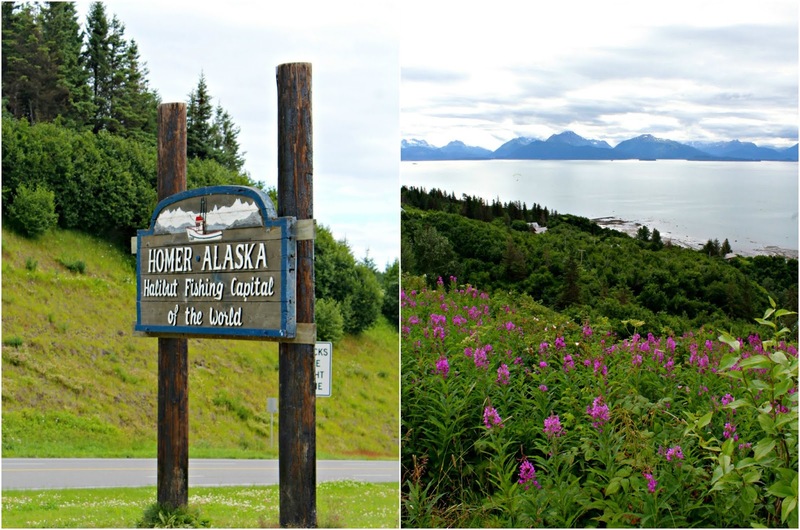 Today on the blog I am excited to share with y'all a little bit more about our amazing road trip in Alaska, specifically about Homer on the Kenai Peninsula. 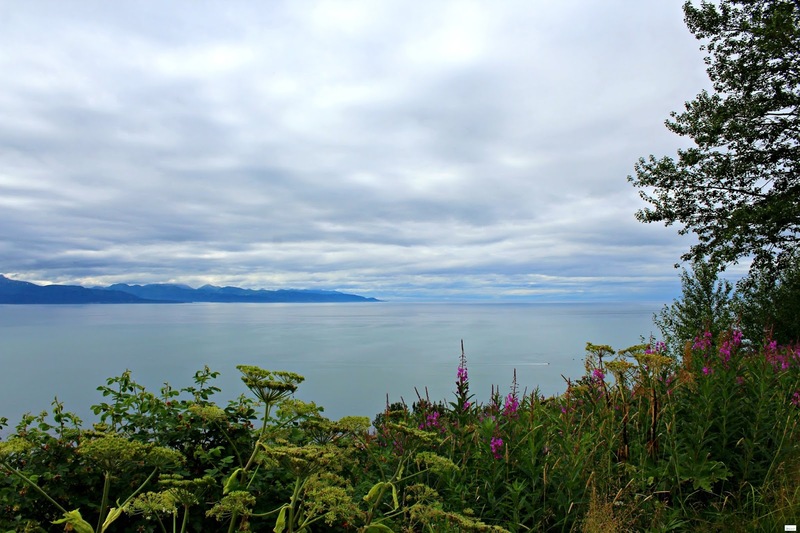 After spending the night at the Kenai Princess Wilderness Lodge in Cooper Landing on Saturday, July 28th, we spent Sunday exploring the southern most tip of the Kenai Peninsula in Homer. 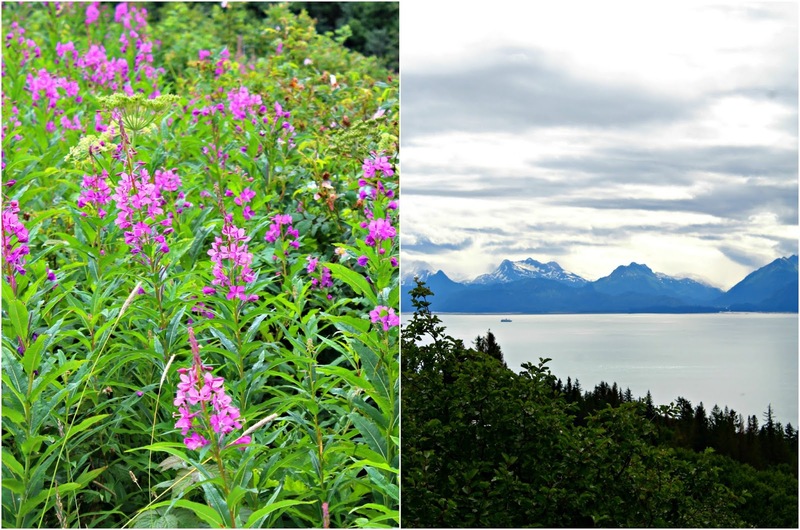 Before the trip I had debated a whole lot about where to explore on the Kenai Peninsula because of the limited time that we had. 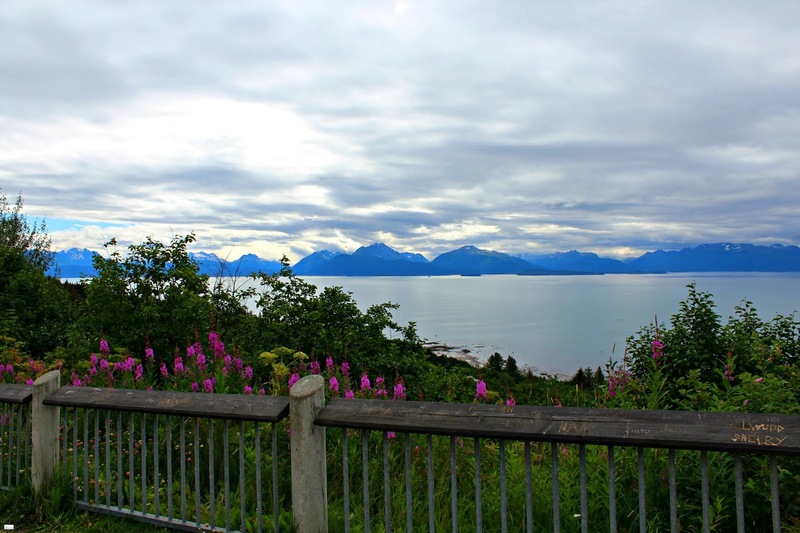 As a bit of background: originally (back when I started planning and contracting for the trip in 2017 and then at the beginning of 2018) I was going to spend the entire trip south of Anchorage and most of my time on the Kenai Peninsula. Logistics and contracts evolved and changed (as did the trip we took) but because of that initial research for the previous trips I had tentatively planned, I had a LONG list of all of the places I was going to see in this area. So it took a long time for me to really narrow things down and just pick one area to explore. 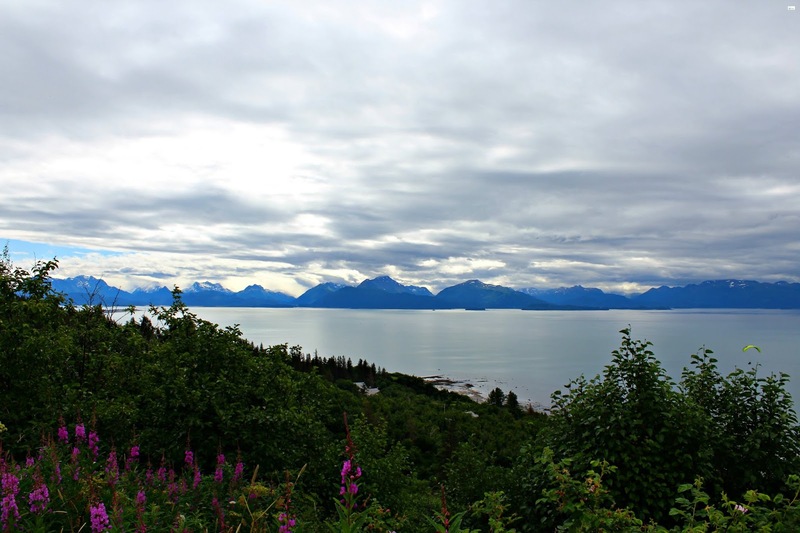 The Kenai Peninsula itself is huge and after spending the brief time we did in it, I know at it is an area that I definitely want to come back and explore so much more of! Hahaha! I think I have said that about nearly every area we saw. I think the great thing about a road trip like this one I took is that you are kind of getting an "overview" and along the way you decide if and where you might come back to. But... after this road trip my list is HUGE (we are talking 3 pages of notes in happy colored pen! *smiles*) of all of the places I want to see and explore the next time I go to Alaska so I may need to start taking a couple of trips a year. Hahaha! After lots and lots of researching and thinking about it, I definitely decided I wanted to see Homer, even if it was for a brief visit. 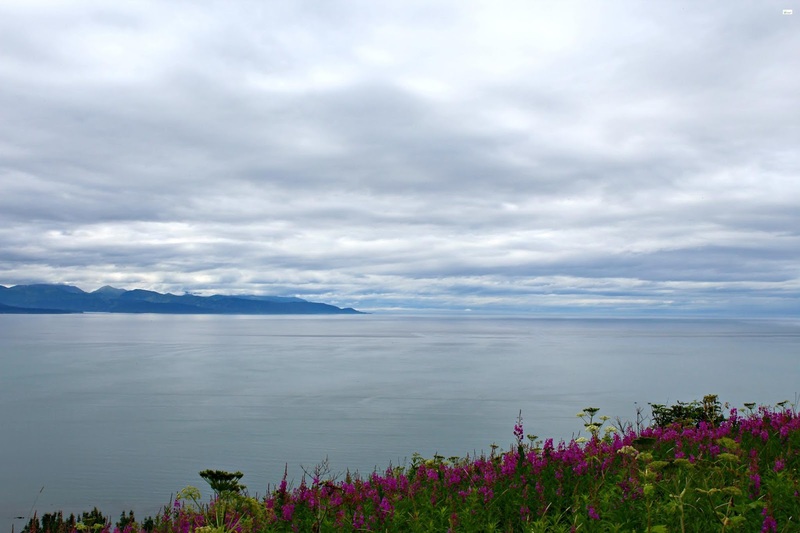 J had recommend this area and it definitely turned out to be one of my favorite places to go and I would definitely like to go back to actually spend time in Homer. Yes, yes... another favorite. *hahaha* I know. 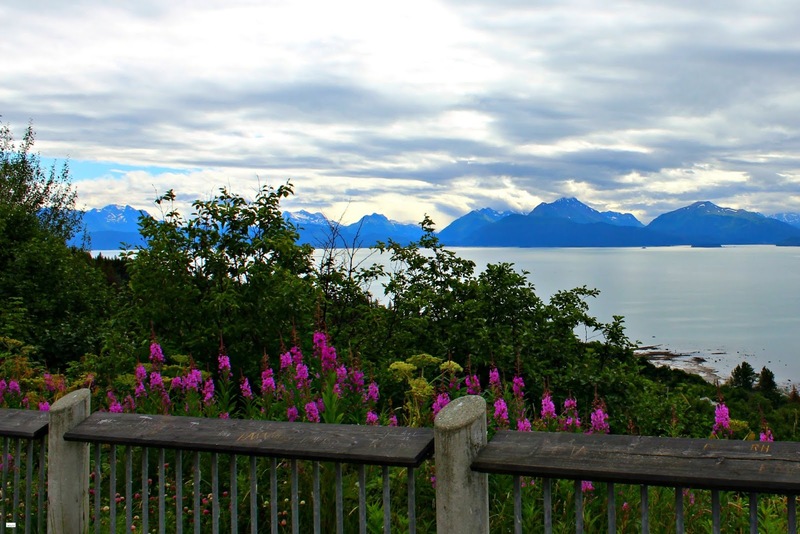 But by now I think we have solidified that all of the places in Alaska were basically a favorite. Something that may surprise y'all to hear is that the drive from Kenai Princess Wilderness Lodge in Cooper Landing to Homer... was actually not my favorite. 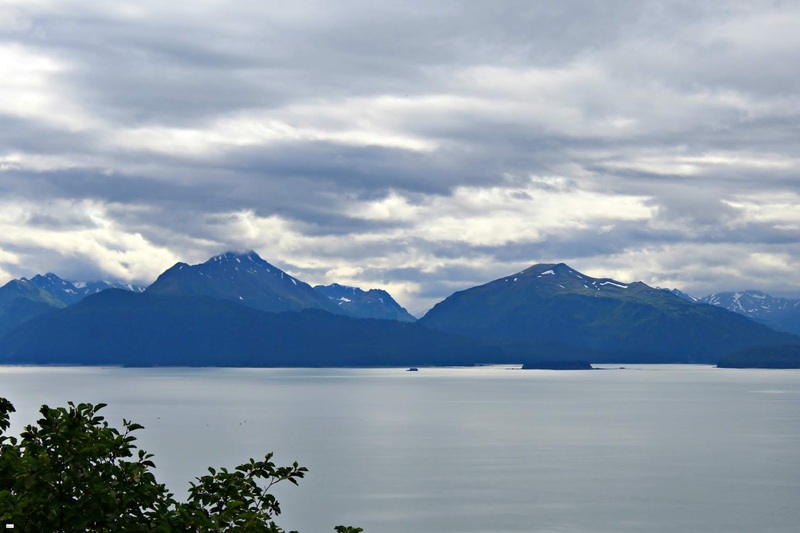 I know that seems ironic for me to say after I can't stop calling everything in Alaska "my favorite"... but while it was a nice drive... it definitely did lack the beauty of some of the other drives that we had taken prior on the trip. 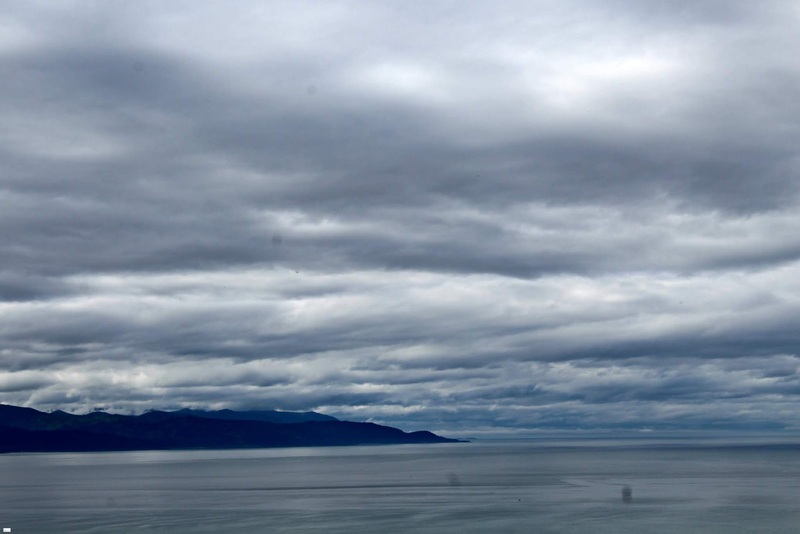 As a bit of a reference point, Homer is approximately 215 miles southwest of Anchorage on the Kenai Peninsula. From the Kenai Princess Wilderness Lodge it took us about 2 and 1/2 hours on the way (due to some traffic) and 2 hours on the way back. 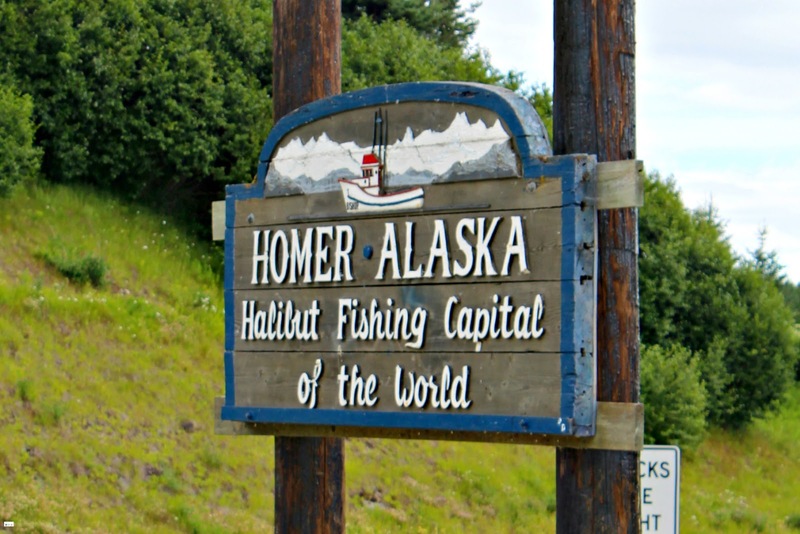 Homer is famously known as the "Halibut Fishing Capital of the World" (as you saw in the picture above but ironically where I did not eat halibut - hahaha!) and has the nickname for being "the end of the road". As I was doing research for the trip, I learned that it has a new nickname of "the cosmic hamlet by the sea". 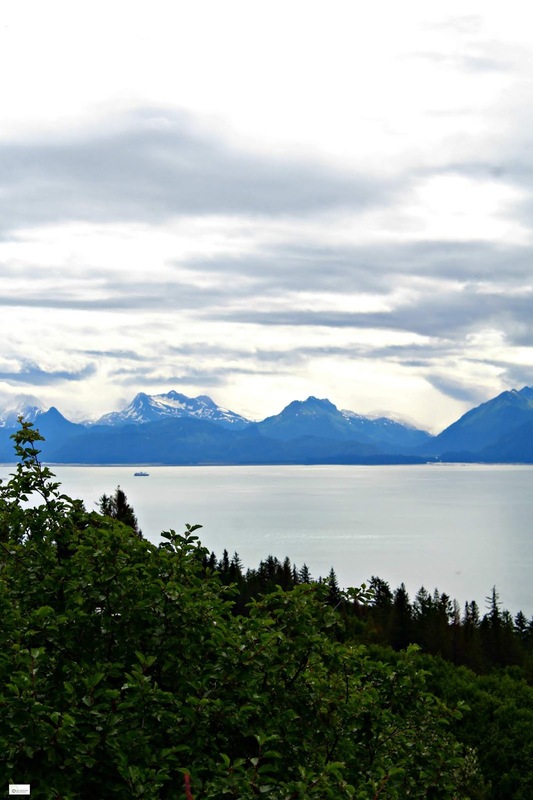 Homer was named for Homer Pennock who was a gold-mining company promoter. While gold mining was never profitable in the Homer area, Pennock still was credited with the namesake. While gold may not have been a major resource, coal definitely was. 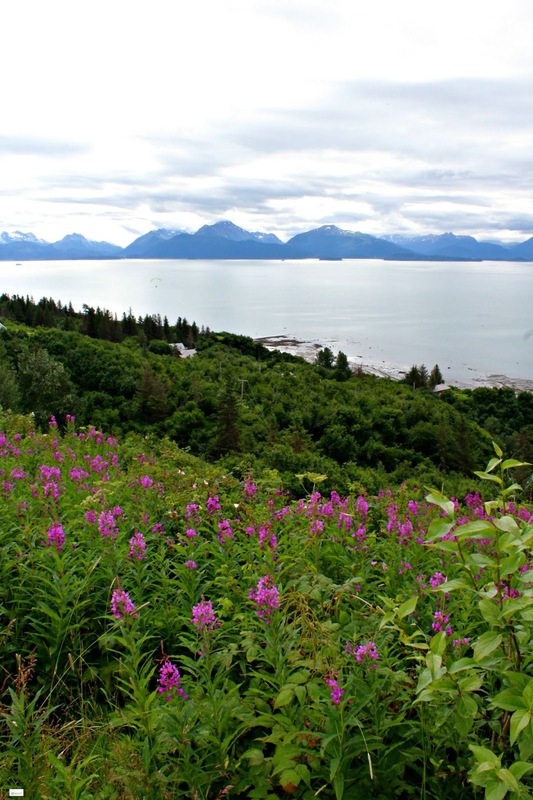 In the 1890s coal was discovered and the Cook Inlet Coal Fields Company built a town, dock, and even a railroad in this area. While coal mining stopped in the time of World War II, there are still believed to be several hundred million tons of coal deposits in this area. 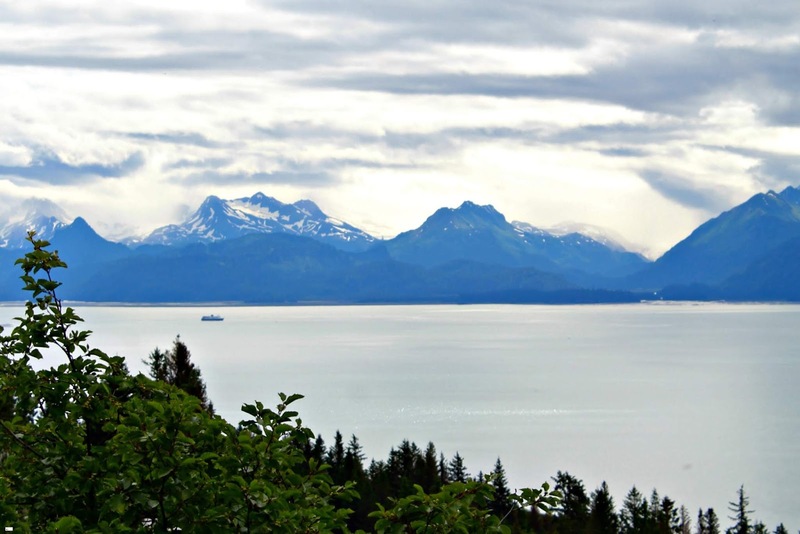 Today, halibut and salmon sport fishing, and commercial fishing, along with tourism are the main industries of Homer. There are several notable people that are associated with Homer that y'all may be familiar with. One of them, Tom Bodett (the spokesperson, famously known for the Motel 6 slogan, "we'll leave the light on for you") also wrote a book, "As far as you can go without a Passport" about Homer. I am not sure why that didn't make it into my list originally in my research for this Alaska trip, but I have added into my books to be read now as the reviews look interesting. Another notable person is Jewel is from Homer (and her family who were featured on the Discovery reality television series Alaska" The Last Frontier"). Some of y'all know this, but I like some of Jewel's music and it made me smile to hear that she was from Homer. According to what I learned, she actually grew up singing and yodeling with her dad, who is a local musician in Homer. How cool is that y'all? As we came around a small corner, I saw a pull off area and the sign that showed we were entering Homer. We pulled in and took a few pictures before heading on. Seeing these first few scenes of Homer just took my breath away. 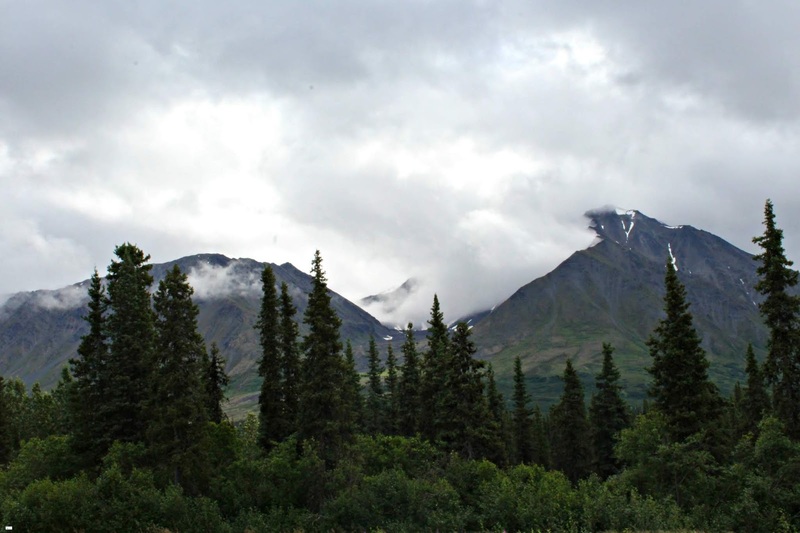 It looked so different than other parts of Alaska we had seen and yet the same in many ways. I was so excited to arrive and spend some time in this place! 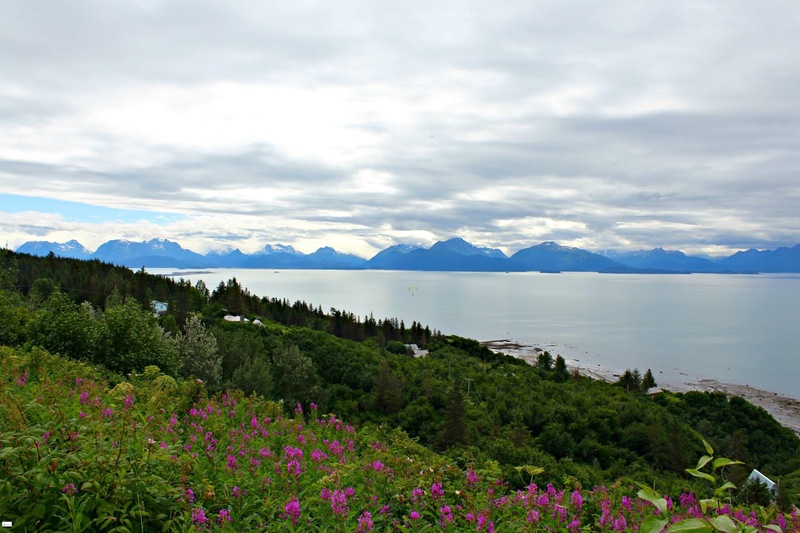 In the next few Alaska posts I look forward to sharing with y'all about Homer Beach and Homer Spit! Thank you so much for stopping by and reading this post today!